A dealer has misled me. What can I do? | What Car? A dealer has misled me. What can I do? Q) A dealer has misled me. What can I do? 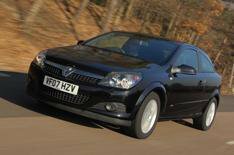 Last week I put down a deposit on a two-year-old Vauxhall Astra, and have just discovered it used to be a lease car. The salesman didnt tell me that. Can I ask for my deposit back, or expect compensation? A) The salesman should perhaps have given you more detail about the cars history, but it sounds like he didnt misrepresent the Astra. If youd asked a direct question and hed lied, that would be different. The fact that this is an ex-lease car shouldnt affect its value or reliability. Lease cars arent necessarily treated worse than privately-owned cars. In the interests of customer service, the dealer should offer to refund your deposit or transfer it to another car if youre still unhappy. We doubt you could get compensation, though.